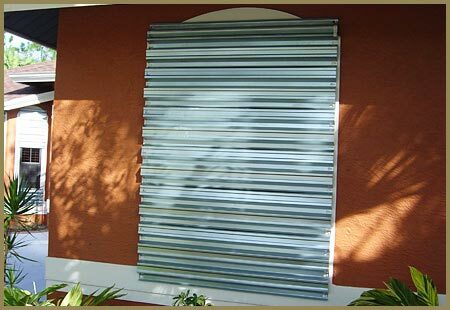 This style of hurricane protection is for everybody who cares about their loved ones and their belongings. 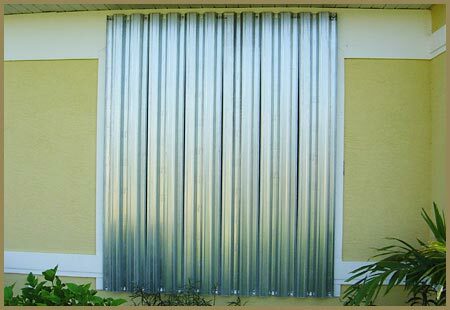 Even though they are a little more work to install they are the most affordable form of hurricane protection. 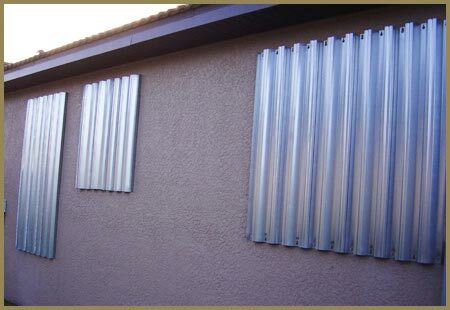 With the steel panel being the most affordable made of 24 & 28 gauge steel. The .050 aluminum and lexan panels following suit behind the steel. 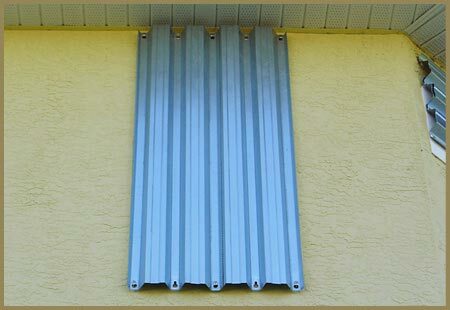 The aluminum is much lighter than the steel making them easier to handle. 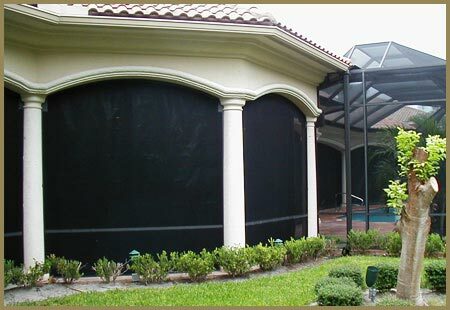 Lexan panels allow light into the room which is something we like to see with any form of hurricane protection. 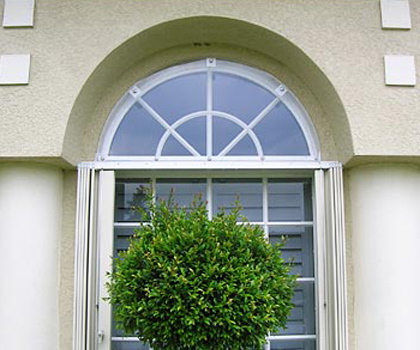 There are also other forms of lexan that are flat and are permanently fixed to the wall and there all year around giving peace of mind through out the year. 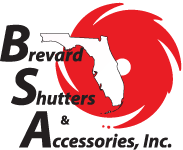 To actually see and use the many different types of Hurricane Panels and many other shutter products we invite you to visit our showroom.